Or if you prefer the print version, you can find it here. Join the conversation! We have a new Facebook Community dedicated to this project! 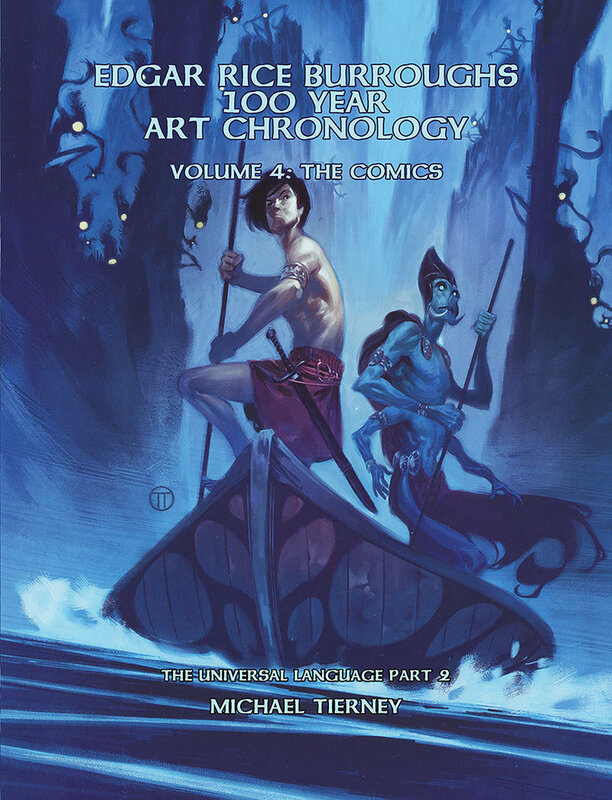 The Edgar Rice Burroughs 100 Year Art Chronology contains over 1,200 pages of material, spread over four volumes and includes 5000+ illustrations and 140,000 words. Its massive in scope and scale. Written by Michael Tierney who worked closely with and was officially sanctioned by all the people at Edgar Rice Burroughs Inc. to bring this massive project to life. The ERBAC is as much an narrative history of ERB's publications as it is a visual history. Michael Tierney has combed the archives and gathered together a vast treasure trove of art, from pulp covers, to interior art, from novels that range on both sides of the Atlantic to the vast array of comic books that sported ERB's amazing creations. He's taken these and woven them into a discussion that explores the many facets of the various industries and Burroughs' place within them. Officially licensed and sanctioned by Edgar Rice Burroughs, Inc., this nearly 1,200 page examination of the vast publishing illustrative history of Edgar Rice Burroughs is divided into four parts. You can click on the LINK to view a sample. (NOTE: the resolution on the samples is reduced to make for faster downloads).